It's now pomegranate season! I have had pomegranate in yogurt and desserts before, but I had never opened one myself. I saw them at the store recently and POM Wonderful had free pamphlets on how to open them so I bought one and decided to try it. You want to try to find one that feels heavy, that means it has a lot of juice! If you've never opened one, here's a great video. 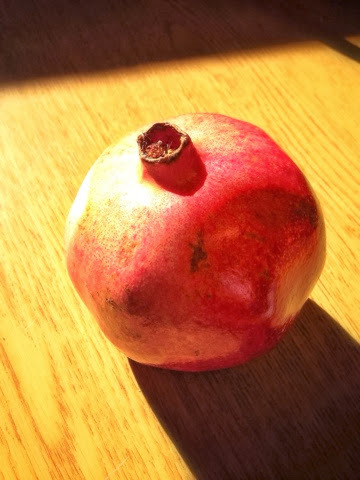 I think pomegranate is so interesting. It's beautiful and tasty with earthy and tart flavors. 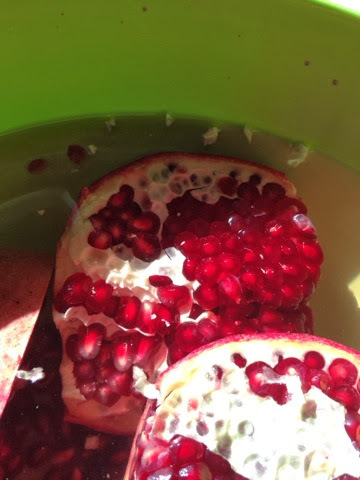 It's hard work getting the pomegranate arils out of it, but every little seed is worth it! I ended up freezing half of the seeds and keeping the rest to snack on. 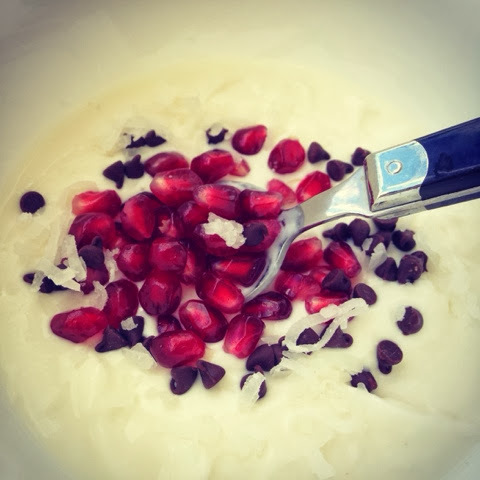 My favorite use of the pomegranate arils was in yogurt. I mixed coconut yogurt, sweetened coconut, mini chocolate chips and pomegranate. Positively delicious! I cannot wait to use this in some holiday dishes.